Written by Wasi Rizvi a Waterloo Computer Engineering alumnus who has been working in the Toronto tech industry since he graduated in 2015. He has been following gaming news outlets since the launch of the N64, and enjoys casually reviewing games in his spare time. Mental health issues and the anguish they elicit is a topic seldom explored by video games. The concept of thoroughly dissecting the mind of the protagonist to reveal their deep-seated flaws is a task generally left to other mediums of fiction. 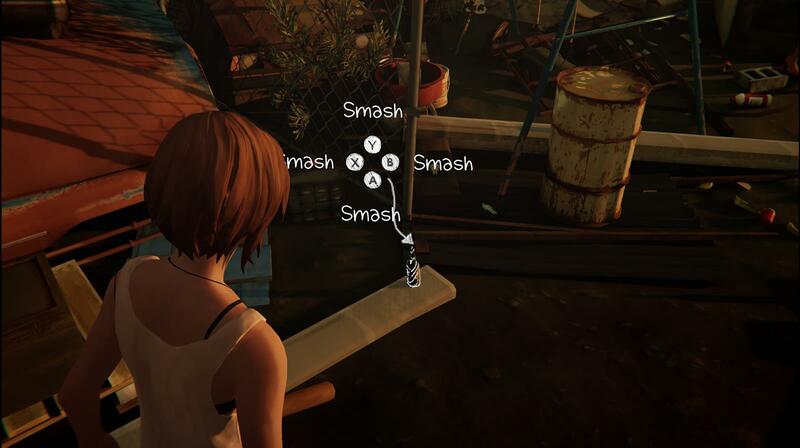 2015’s “Life is Strange”, a sleeper hit from publisher Square Enix and developer Dontnod Entertainment, is one of the first games I have played where the player character’s flaws and growth are central to the game thematically and mechanically. In the game, which is best described as an episodic graphic adventure that emphasizes player choice, our heroine Max Caulfield’s signature ability allows her to rewind time and explore the results of different dialogue choices at will. The game does a great job of overwhelming you with choice, as oftentimes no dialogue path seems to have an ideal outcome and we are left without a clear view into how our choices will manifest into consequences later in the game. A feeling of great uncertainty would make the player frequently rewind and try every possibility, second-guess their choice, and perhaps go back-and-forth a few times before settling on an outcome. This self-doubting was very characteristic of Max herself, who would monologue her doubts after each choice. The game reviewed well and was lauded for touching many dark topics, including teenage suicide, insecurity, abduction and grisly murder. 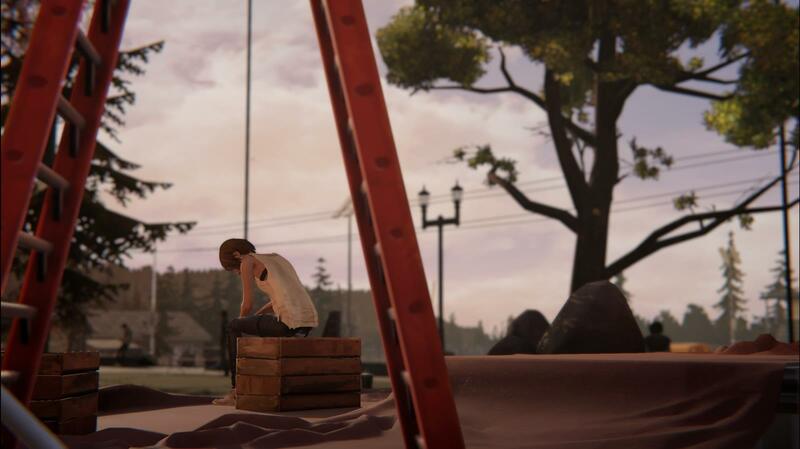 After the conclusion of that game, fans were initially led to believe that the story of Max Caulfield, her beloved friend Chloe Price, and their time in Arcadia Bay would come to a permanent close. Plans for a second season of the game were announced, but as developer Dontnod stated that the sequel would be a new story with new characters, the series’ zealous fanbase was left to lament the end of this beloved story. In June 2017 it was officially announced that a prequel to the game, ‘Life is Strange: Before the Storm’, was being developed. To the skepticism of fans, it was announced that newcomers to the genre Deck Nine Games would be behind the prequel’s development, and further that due to the SAG-AFTRA strike few voice actors from the original game would be able to reprise their roles. This was especially upsetting as the prequel’s heroine was announced to be Chloe Price, whose voice actress Ashly Burch won an award for her spectacular performance. Having now played the first episode of the prequel, I can say without question that Deck Nine has delivered an experience worthy of the series’ acclaim. To provide a recap of the first game’s story, the player takes control of Max Caulfield, an 18-year-old student who returns to the city of Arcadia Bay to attend the prestigious Blackwell Academy for her final year of high school. Soon after, she obtains a supernatural ability that allows her to rewind time, as she witnesses the murder of her childhood friend Chloe Price. After preempting Chloe’s death, Max takes hold of her newfound ability, unknowingly causing a ‘butterfly effect’ by altering the past. After experiencing a future vision of a storm destroying the city, Max resolves to figure out what is going on and prevent calamity, enlisting the help of Chloe, with whom she has recently reunited. Many dark secrets are unearthed throughout their journey, and without getting deep into spoiler territory, one of the game’s main subplots is the story and circumstance around a character named Rachel Amber: Blackwell Academy’s most beloved student who suddenly disappeared without a trace. 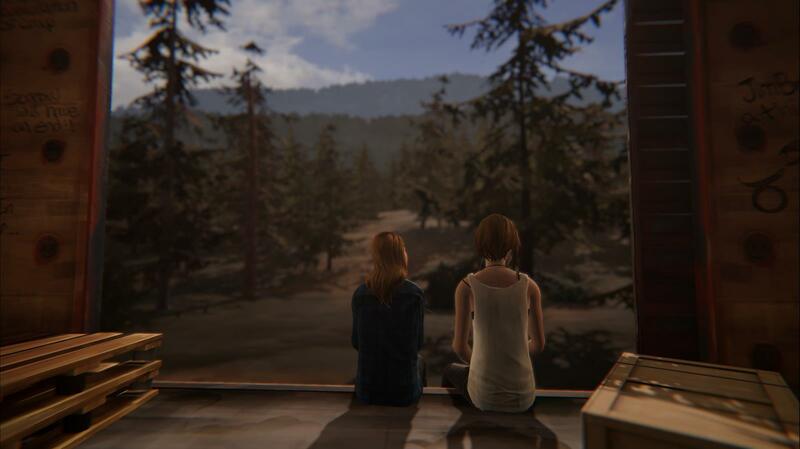 ‘Before the Storm’ takes place three years prior to Max’s return to Arcadia Bay, and focuses on the story of Chloe Price and how she met Rachel Amber. Chloe is a very different character from Max: brazen, snarky, and nihilistic. What developer Deck Nine absolutely nails in this iteration is the subtle character flaws of Chloe and how we see this manifest over the course of the episode. Chloe has a tough-as-nails attitude on the outside, but what we really have here is a broken, depressed character who feels as though her life has lost all meaning. Her father died a few years prior, and her best friend Max left her when she needed her most. Through the pages of Chloe’s journal and her text history with Max, it becomes obvious that Chloe’s feelings towards Max are very complicated and utterly conflicting – she resents her for abandoning her and repeatedly ignoring her texts, but she admits she still longs for her affection and would immediately forgive her should she return. Seeing the context for Chloe’s characterization in the original game firsthand is nothing short of heartbreaking. Before the Storm shines equally well in how it depicts the progression of Chloe and Rachel Amber’s relationship. Right up until the second time Rachel Amber makes an appearance we see Chloe’s apathetic and rebellious side in full swing, but as she returns, the game begins to show us another side of Chloe only hinted at in her journal: a deeply flawed, deeply human character who is highly relatable. Chloe is starved for affection, and she can barely control her feelings as Rachel begins to show interest in her. We see a side of Chloe that could be described as enamoured and head over heels infatuated with Rachel, and as things go awry later in the episode, the desperation and depression that Chloe has been battling alone pour forth without restraint. Facing rejection, Deck Nine presents the player with a sequence of events that break the mould and make you feel Chloe’s crushing despondence in a visceral manner. Rhianna DeVries (providing Chloe’s voice for this game) does an incredible job, worthy of all the praise Burch received for her performance in the first title. The game ends beautifully, providing just enough intrigue to keep fans in eager anticipation of the next instalment. While there are many returning characters, the new side characters in this game are also worth mentioning. 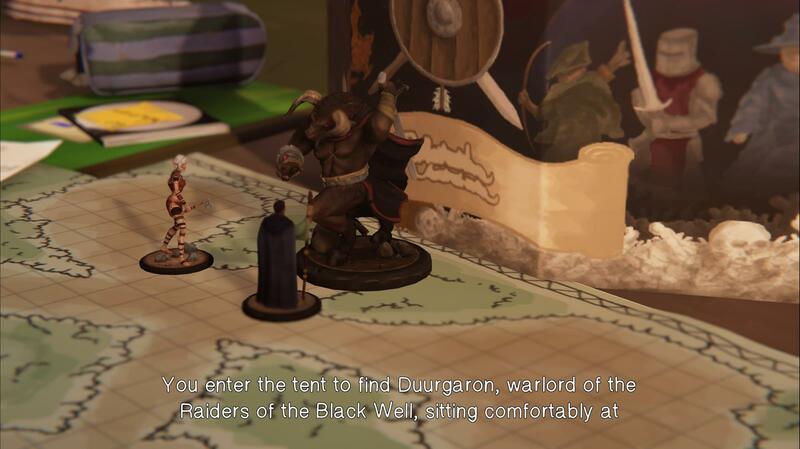 A purely optional interactive event allows the player to partake in a tabletop Dungeons and Dragons-like game, with new character Steph Gingrich playing the part of the Dungeon Master. This was the most entertaining bonus/’easter egg’-like content I’ve played in the entire series so far, and Steph’s voice actress does a phenomenal job of keeping the tabletop game’s progression entertaining. The art, font, general look and feel of game is as it was in first game. The engine has changed (from Unreal Engine 3 to Unity), and one annoyance I will mention is that the animations can be rather janky at times. This can be jarring, but it is not as bad as the uncanny lip syncing seen in the original’s debut episode. Character designs are completely faithful and Chloe looks great with her brown hair. The original score for this game was composed entirely by British indie-folk band Daughter, and as a huge fan of their work, I couldn’t be happier about this. It’s an absolute dream hearing their work in the menus and serving as BGM throughout a variety of pensive and incendiary moments alike. The music is airy, melancholic, and perfectly befits Chloe’s state of affairs. In addition to the original score, there are a few licensed indie tracks in the first episode, and all of them work wonderfully with the game. The unique rewind mechanic seen in the original Life is Strange is gone, but this should really not be a surprise. Chloe does not possess the powers that Max does, and it would break the canon if she did. I wasn’t sure what to expect of the new “Backtalk” feature – Chloe’s unique ability to argue her way out of certain situations – but I think it’s a nice addition overall. The sequences are timed which I think adds a good bit of tension. This couldn’t be further from how it felt to be able to casually rewind time when you made mistakes in conversations, but changing the gameplay to accommodate Chloe’s snark and rash attitude is certainly appropriate. The actual lines delivered to win argument ‘points’ are sometimes bizarre, but fortunately, this is not always the case. The exploration aspect of the gameplay is still very much here, and there is plenty to uncover that adds subtlety to the story and world. Before the Storm’s debut episode is a great effort put forward by Deck Nine, and I’m itching to see what they will do in the next two episodes. Despite knowing the ultimate end state for both Chloe and Rachel, I feel like there remains plenty to learn about them – and we may merely be at the threshold.